I sometimes get backed up with the number of CD's that I have to review and this is one that fell through the cracks. 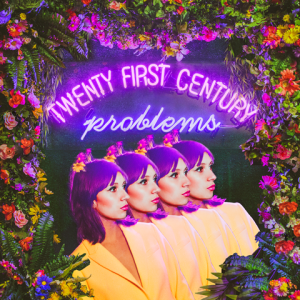 A new release, Twenty First Century Problems, by Lauren Desberg is totally unlike anything that I typically review but it has a clean simple and bright sound and certainly warrants note. With it's light breezy jazz opening track, Can't Stop The Show, it displays cool rhythmic patterns and a really nice sax part under Desberg's clear vocals. With a touch of hip hop in a pop jazz mix, He Loves She Loves is simply nice with terrific drums and piano. Emotive ballad, Lie To Me, digs back to earlier jazz times and a more serious texture. An interesting cover of well worn out Bee Gee's, How Deep Is Your Love, has a fresh face and with nice vocal blending and enough nice instrumental work to totally make you forget that you are listening to one of the most boring songs ever written ... and not mind it at all. Lullaby Of The Leaves is a really interesting track with a clever interplay between the stand up bass and trumpet. Desberg creates an cool ambiance and fills it with really nice vocals. Excellent! Angel Eyes is another interesting track with an uneven rhythm and a airy vocals. The balance of Desberg's vocals hangs by a string in a cloud of light backing vocals, cool rhythms, piano and horn work. I really like it! Torch ballad, Never Let Me Go, with a solitary voice over piano brings to mind early 60's jazz and it's clarity. Wrapping the release is Try To Get Out, an interesting pop jazz track with a touch of show. It's difficult for me to articulate what I am hearing, possibly because it is outside of my normal listening venue here, but let's just say, I am impressed by this production that makes me think Fiona Apple and Joni Mitchell yet neither. High quality work and extremely enjoyable.